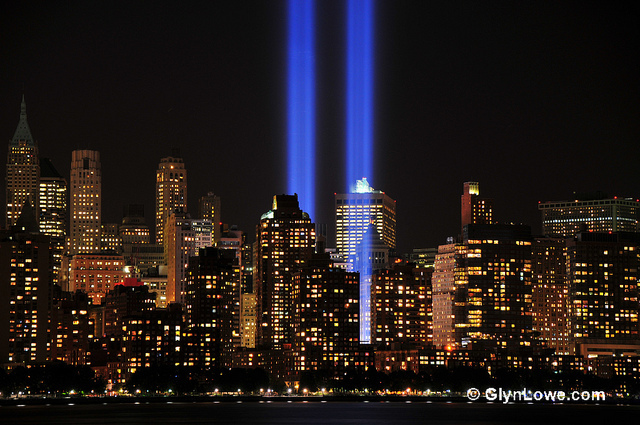 To say that the events of September 11, 2001 had a lasting impact on New York City, the nation and the world would be an understatement. In the days after the attack, the Columbia Oral History Research Office, as the combined research and archives arms were known then, had the foresight, skill and tact to design and execute a large-scale oral history project to hear from New Yorkers about how 9/11 had already changed their lives. The September 11, 2001 Oral History Project consists of five projects and programs focusing on different areas of inquiry related to the aftermath of the destruction of the World Trade Center. As of the tenth anniversary, the project as a whole amounts to over 900 recorded hours (23 hours on video) with over 600 individuals. 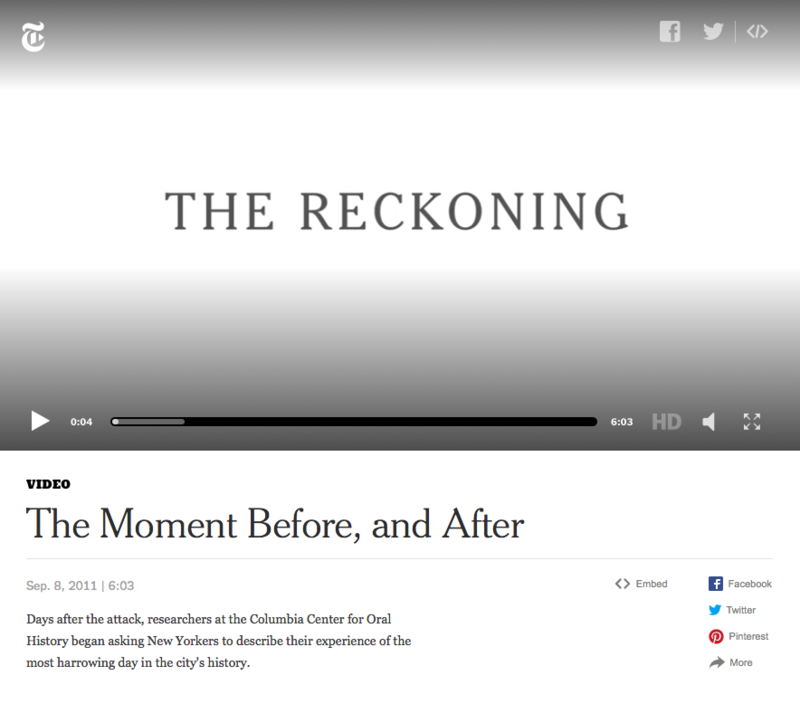 Click to play video on The New York Times’ website. You can hear excerpts from some of the oral histories from this New York Times article and read more about the project. This entry was posted in Oral History and tagged 9/11, Mary Marshall Clark, September 11th on September 11, 2018 by Kimberly Springer.